KDA is pleased to present the Master Class Series: Arts + Mentoring in partnership with Garden Pathways. With generous support from the Arts Council of Kern and Stria, the Master Class Series is rooted in mentoring young people through the arts. Under the guidance of professionals in the field, dancers are encouraged to explore a variety of dance related resources to further develop their dance education. Minimum 3 years dance experience required. The Master Class Series: Arts + Mentoring is rooted in the mission to mentor young people through the arts, specifically dance. Through the guidance of professionals in the field, dancers will be encouraged to explore a variety of dance related resources to further develop their dance education. Dancers will train in technical dance disciplines, learn about anatomy and injury prevention, dance history, music theory, dynamics, aesthetics, body awareness, and performance. At the culmination of each master class session, dancers will experience intimate time with each dance guest artist as they are mentored about a future career in dance. Additionally, master class dance guest artists will outline their experiences, influences, and expertise in the field of dance during a Q&A session that will be available for students and the audience to pose questions. Family and friends of participating dancers are invited and encouraged to attend. Saleemah E. Knight is an internationally recognized interdisciplinary artist in the concert and commercial dance realms and a professor of dance at the highly-acclaimed USC Glorya Kaufman School of Dance. Saleemah holds a Master of Fine Arts degree in dance from the University of California, Irvine and a Bachelor of Fine Arts degree from the University of Arizona School of Dance. Her dance technique training, stems from reputable concert dance companies, such as Gus Giordano Chicago, Dayton Contemporary Dance Company and River North Chicago. 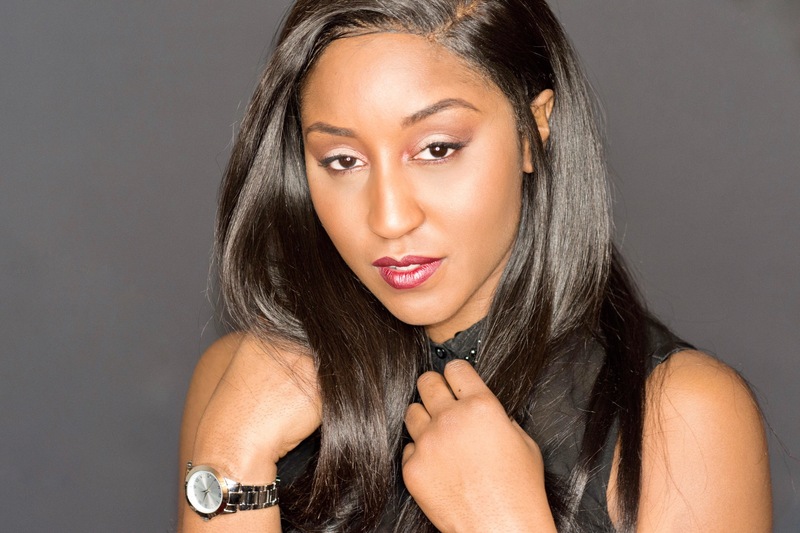 As a performer Saleemah has been a featured dancer in Disney’s world renowned production, The Lion King Broadway Musical and has danced alongside internationally known recording artists and icons, such as Beyoncé, Chris Brown, Jillian Michaels, Jamie Foxx, Ludacris, Tyrese and many other prominent commercial artists. Saleemah’s choreographic expertise has grabbed the attention of entertainers worldwide. She has been the selected choreographer for various performers, ranging from MTV Asia, to The Bay to the A Tour, featuring well-known recording artists Bosko Kante, E-40, Rick Ross, Lil’ Jon and Busta Rhymes and has done artist development for Akon’s singing sensation, Tami Chynn. Saleemah has been the selected movement coach and artistic director for Latin rap artist Daddy Yankee’s “Limbo” music video and was the choreographer for his “La Noche de Los Dos” music video ft. Natalia Jiménez, both directed by Jessy Terrero of Cinema Giants (formerly known as Terrero Films). Saleemah was also commissioned by Cinema Giants to choreograph the “Que Viva La Vida” music video for international Puerto Rican pop artist, Wisin (formerly of Wisin y Yandel) as well as the “La Malquerida” music video for Latin pop princess, Chiquis Rivera. Saleemah E. Knight currently teaches Jazz Dance technique as well as theory courses in the areas of world studies, jazz history/culture and popular culture on faculty at the USC Glorya Kaufman School of Dance, choreographs productions and teaches master classes worldwide. She is also the artistic inspiration behind a line of youth- inspired dance active wear called Saleemahwear. Saleemah is known for her outstanding instruction and choreography in Jazz, Jazz-Funk and Contemporary Jazz. She continues to bring her academic expertise, professional, and vibrant attitude to recording artists, dance studios, performing companies and academic universities worldwide.